How does it matter which way the electorate votes when the Pied Piper can rearrange the pawns elected on the chessboard to suit itself. 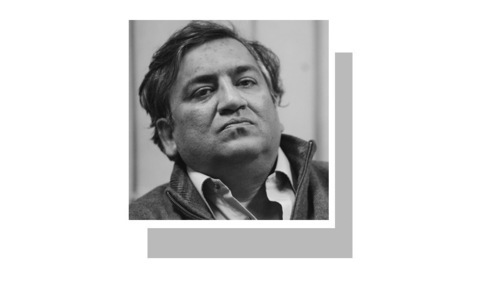 Not a whimper was heard about the recent rearrangements in Baluchistan or the Senate so no one can understand why the author is blindsided and harping on elections, rather than likely actions of those elected. No trust left in these democratic parties, PMLN, PPP, PTI, all have same faces, same agendas, no one cares millions of people. Why waste huge revenue for elections, why not caretake government continues and lets complete impartial court proceedings for every politician. What we saw in last 10 years of democracy is horrible. We are still fighting for clean water, electricity, and daily necessities of life. During last 10 years, can democratic members justify there benefits and salaries which they took? By weakening Nawaz, the establishment hopes to have a more pliable PM next time around. IK fits that bill. Even with the assurances from the chief justice and DEC, timely e!section seems highly improbable. Good analysis. I think voter turnouts in Punjab will be very high. This time people want “Vote Ko Izat Do”. Again, speculation and nothing else. excellent article as usual but writer have not raised the big question. Who is going to benefit from higher turnout? In the past it was supposed, higher turnout mean more votes to IK. It may reversed this time? There is truth in the analysis by Cyril. Personally I do not care who wins, but wish those we elect are liberal souls who stand for equal rights to all including women and minorities. Most important of all winners should have the last word on everything government does. It will also help if opposing parties respect those who have lost and won. Democracy wins if all parties are on one side against those forces who do not want democracy stabilised. Turnout will be high , so there is higher chances of PTi to win 2018 election , if its free and fair not like 2013. Looks like NS going to win Punjab ...IK will be the spoiler ? Go ahead and crush the pretenders once and forever. No doubt that there will be manipulation and delaying tactics in the coming election. And the reasons are obvious first one to weaken pml n.
200%...thanks to the "invisible hand". Bravo Cyril writes are more balanaced article and points to an important factor in the forecoming elections. MQM controlled Karachi through fear and intimidation for good 30 years. Let's see what the Karachites decide; when the terrorism is removed from the polling process. I think this time the election results in Pakistan will be hung, all parties gaining some part with none of them having enough to form a government. At the end the result seems to be a coalition with IK becoming the PM. Every citizen of the country should consider to boycott this selection, I mean elections till correct census and delimitations are done. This current ECP is acting like a political wing of Corruption Mafias PML-N and PPP. Take action now before this rigged election system bring these mafias in to power once again. After today's SC verdict; count me out of the voters list. It must be pointed out to Mr Almedia that rigging of elections, and that too of a very blatant kind, remains an indisputable reality with regard to Interior Sindh. Rigging has been, and will in all likelihood again be, a central feature of the PPP's "success" in Sindh. The benighted citizens of this corner of our land will once again be ruled by a kleptocratic and thuggish PPP government come election time, continuing Sindh's position in holding some of the worst human development indicators in the world, including incidents of outright starvation. While the rest of the country thought the PPP nightmare ended in 2013, it has continued in even more awful fashion for the hapless people of Sindh. The PPP will pull out all the stops, rigging included, to ensure that their reign of loot and torment over Sindh continues. So, pity the innocent and starving of Sindh; the least we can do is not forget them when any of us, such as you Mr Almedia, says that rigging is a thing of the past. @Syed H I am from Lahore but I lived in Karachi for ten years for work. I fully understand everything you wrote here word by word. Nightmare of PPP rule ended in Punjab in 2013 elections by people of Punjab. My Sindhi brothers and sisters have to stand for their rights and in 2018 elections vote for PMLN. A good narrative of the current affairs. However, the pessimistic tone is unwarranted. The politics comes packaged with democratic process. It is better to get prepared, get used to it and make the best out of the whole package. The democracy is still very young and eventually, it will slowly but surely come to maturity. The alternate is dictatorship. You forgot to mentioned who is responsible for this chaotic situation? "Turnout may have unleashed a powerful unknown factor: the electorate itself." PMLN will be back in business - w/ or w/o Nawaz Sharif.
' Every action has an equal and opposite reaction ' ...... if the PML-N wins the election I hope they have the good grace to thank the superior judiciary....and NAB. @Patriotic Do you believe that the caretaker government would be better as if those people cane from a special place! The game is clear, “those that cannot be named” mistakenly think their hidden rule will be better without realising that their previous engagements were a failure. They should try to get better at their own job which is to protect Pakistan. What you say about seeing a liberal running the country would be ideal but sure enough it is not going to happen. Only yesterday I was listening to Sheikh Rashid of AML and he slipped when he said he had a stronger vote bank this time because he rallied the cause against the recent tampering of the Election Bill. What a strong religious card all political parties have as an ammunition. The elections in Pakistan are farce from reality. Every politician is power hunger, to have a wealthy life, with security all around, travel abroad. Can you explain the analysis. I have a PhD but fail to find what the author wants to say. Votes may count in our country; voters don't. Pakistan certainly needs a change of faces and acts at the top of government offices. 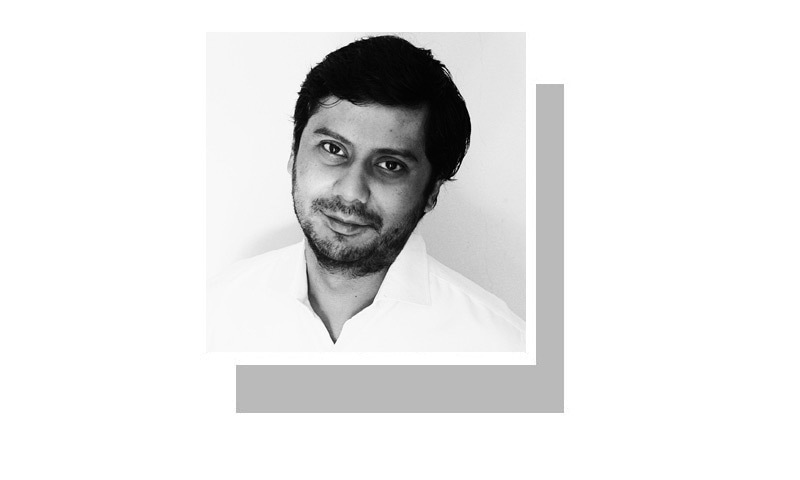 PPP, PML-N have proved to be a failure. Whatever the reason(s) behind it, the paradigm shift is conspicuous as there is no mention of the "chaps", a term that has quite suddenly, if not curiously, been replaced by the "electorate". On a slightly different note, it would be instructive to know what is it that the establishment can do or achieve with Imran Khan and associates at the helm, which it cannot with PML(N)? 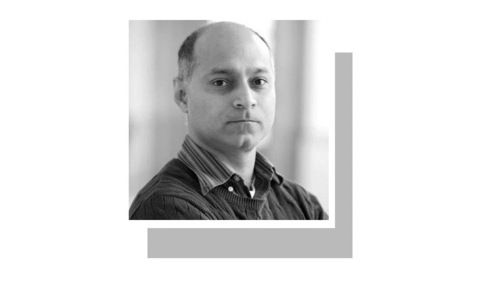 A party that has a long history of appeasement albeit admittedly with spurts of weak tactics and poorly calibrated hostility with the "khalai makhlooq", but never threatening to look into its books or invoke cutbacks.